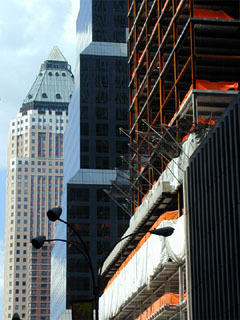 From left to right: 1 Worldwide Plaza, 750 7th Avenue, and 745 Seventh Avenue under construction. 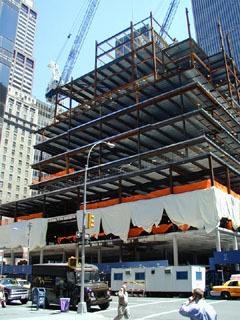 The construction of 745 Seventh Avenue in October of 2000. 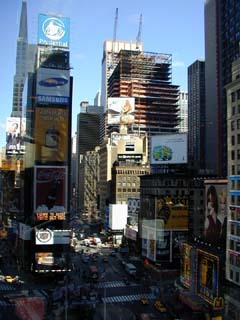 The view on 745 Seventh Avenue from the corner of 7th Avenue and 49th Street during the construction phase, in July of 2000.